Join us for a Spring Day in the Country Photo Workshop to hone camera and processing skills. Now that spring has arrived in Michigan there are a lot of photographers who want to dust off their cameras and spend a time honing their camera and processing skills, while capturing some great spring images. On May 14, 2016, I will be spending the day shooting and going over image processing in the countryside near my home in Chelsea, Michigan. We will start the day at 9 a.m. with coffee, while going over camera functions, in Chelsea at the old farm house where I live and work. Then we will head out for some close up work. My neighbors raise horses and they have two Friesian foals that we will spend time with. After a lunch break, we will go over image processing on the images we have shot, then head out for an afternoon shoot. In the afternoon we will spend time at the Waterloo Farm Museum, where we will spend some of the afternoon shooting the buildings and some close up images. After a couple of hours at Waterloo, we will go back to work on image processing to wind down the day. The last couple of days have felt like spring and I have been looking through some of my floral images from last May that I have been wanting to process. 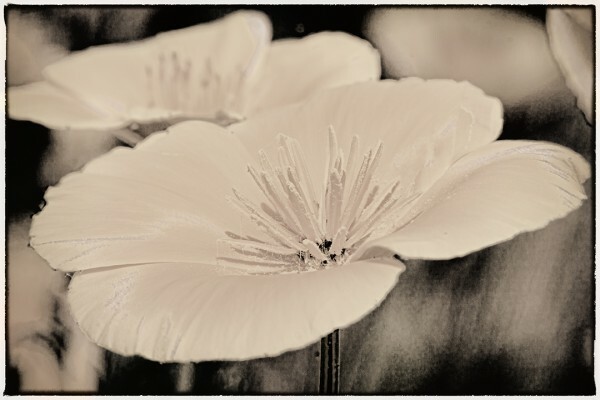 In Topaz B&W Effects I was able to create a beautiful Infrared B&W with a negative edging border from the color image file. The right software can be extremely helpful when you return from a shooting trip because there is never enough room in the camera pack to bring all the equipment. 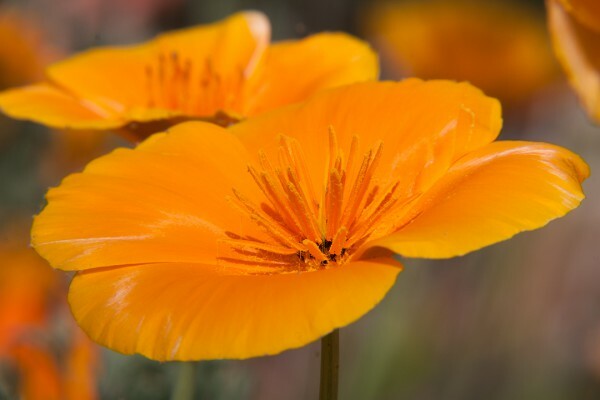 The Color image is the Raw image with just a bit of healing on a few darks spots on the Poppies.